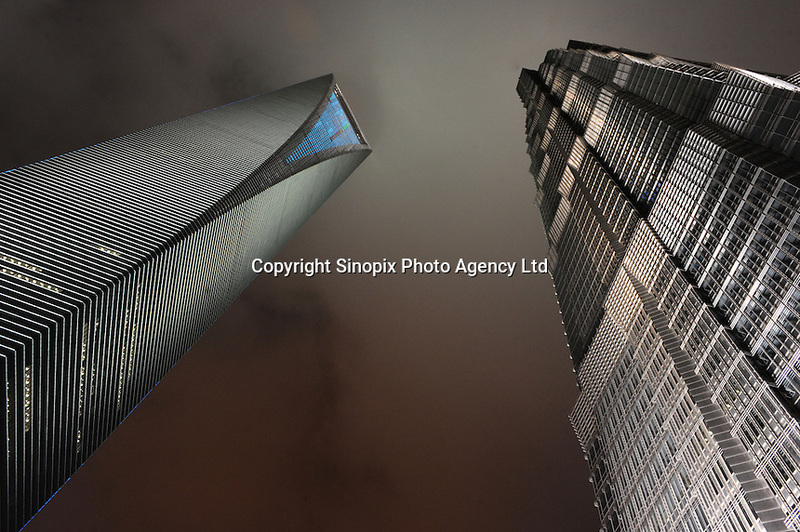 The Shanghai China World Financial Center (left) which stands at 492 meters, next to the Jin Mao Tower(right, 420.5 meters) Shanghai, China. Shanghai China World Financial Center (SWFC) is a super-tall skyscraper in Pudong, is mixed use skyscraper which consists of offices, hotels,conference rooms, and shopping malls on the ground floors. The Jin Mao Tower is an 88-story landmark skyscraper in Luijazui area of Pudong..